Tomorrow night is Hallowe'en and the streets will be full of kids seeking the ultimate score - candy! These kids will be high on sugar. They will be running around excitedly. And even though we all know that dark costumes make it more dangerous, there will always be kids wearing Dark Knight and ninja costumes. Scary! Here are some driving safety "tricks" to remember if you're on the road tomorrow evening. If possible, avoid driving in residential areas. between 6pm and 9pm, the hot times for treat or treating. Stay below the speed limit and allow yourself extra time to get wherever you're going. Don't use your cellphone or try to have a snack in the car - keep your focus on the road at all times. Be careful passing stopped cars, as little ghouls and goblins may be exiting. Use caution when pulling out of parking spots or driveways. Be extra alert about your surroundings as your drive - weather permitting, roll down your window so that you can hear what's going on around you. If you have little ones heading out this Hallowe'en, Health Canada has some great tips on keeping your kids safe on Hallowe'en. And if you're donning your Princess Leia buns and hitting a party yourself this Hallowe'en, make sure you have cab fare or a designated driver lined up to get you home safely. 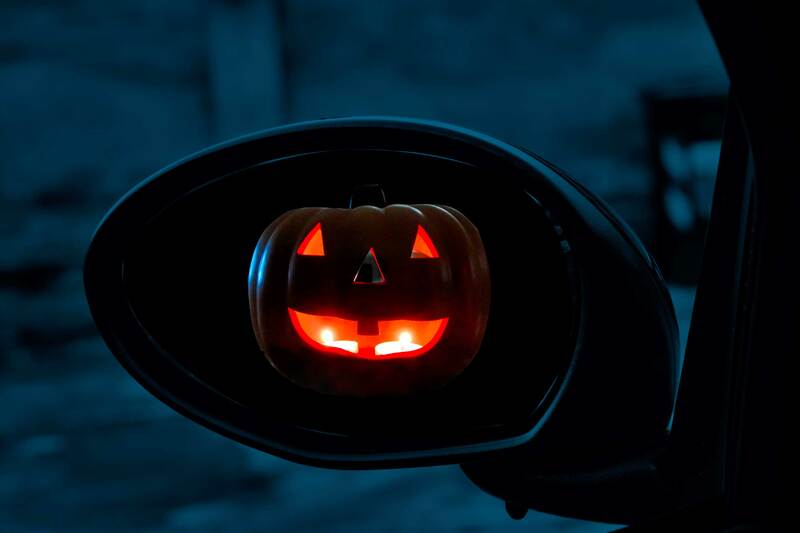 All of us here at PumpTalk wish you a safe and spooktacular Hallowe'en!